Now that another One Room Challenge has come and gone I am turning my attention to getting my house all cleaned and polished and spruced up before I start my Christmas decorating. This week I added a couple of new things. 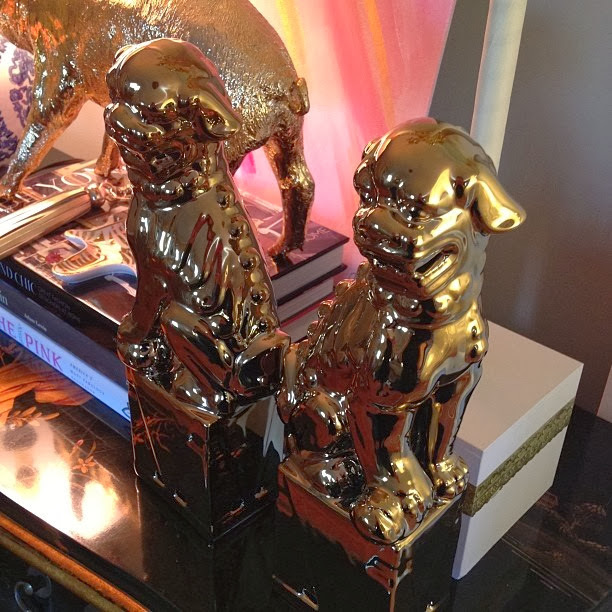 I found these gold foo dogs on sale for half price at Z Gallerie and I had a rewards certificate so they were free! I love them with all the pink and gold on my Chinoiserie chest. 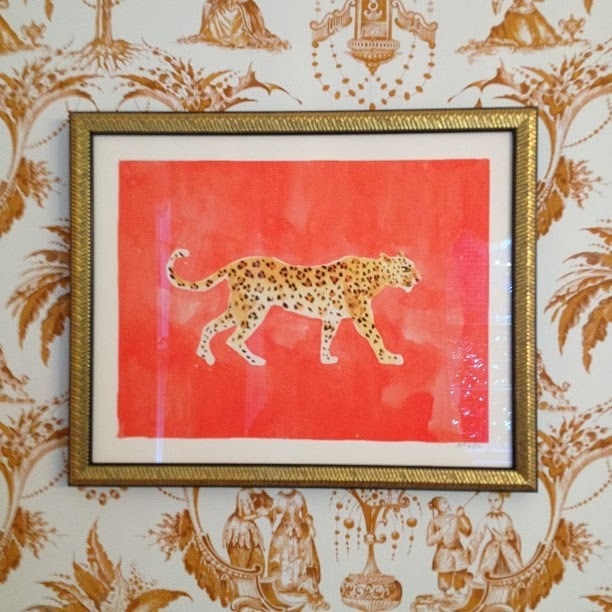 I picked up from the framers this week this wonderful leopard print by artist Caitlin McGauley. I love the combination of the modern print with the very classic Chinoiserie wallpaper in my dining room. Leopard and Chinoiserie are so good together. 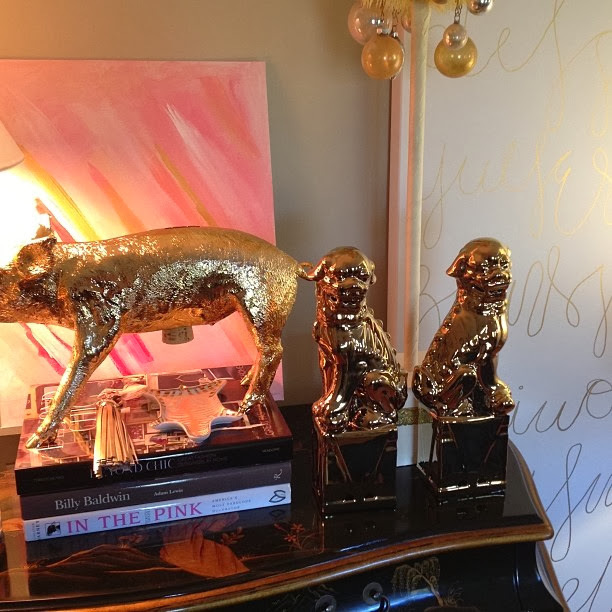 Adore your leopard print Beth, and the gold Foo Dogs are stunning! gold, chinoiserie, and leopard. can't think of any thing I love more! Oh wait, pink too. Love that Leopard print its darling!!! 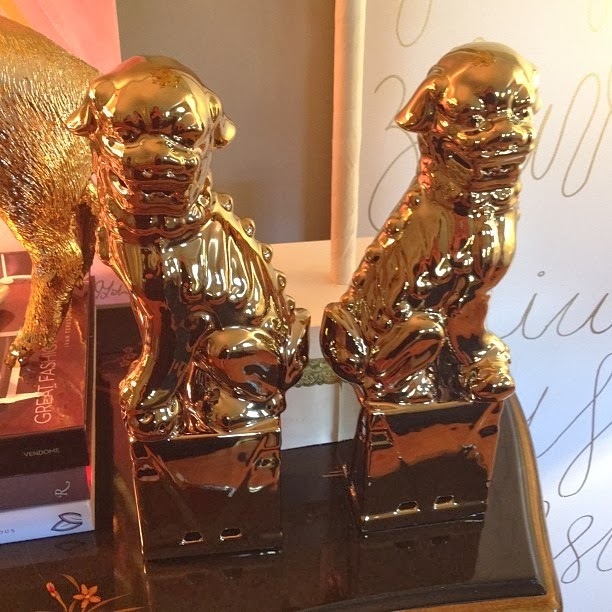 Did you just buy the foo dogs last week? I've wanted those for a long time but they're not online anymore so I assumed they're not in stores, but if I'm wrong I'm going to run out and buy them this week!